Centric Parts, North America’s leading manufacturer and supplier of OE and aftermarket brake and chassis components, has announced the availability of a range of front and rear StopTech Big Brake Kits to fit a wide variety of Nissan and Infiniti models. 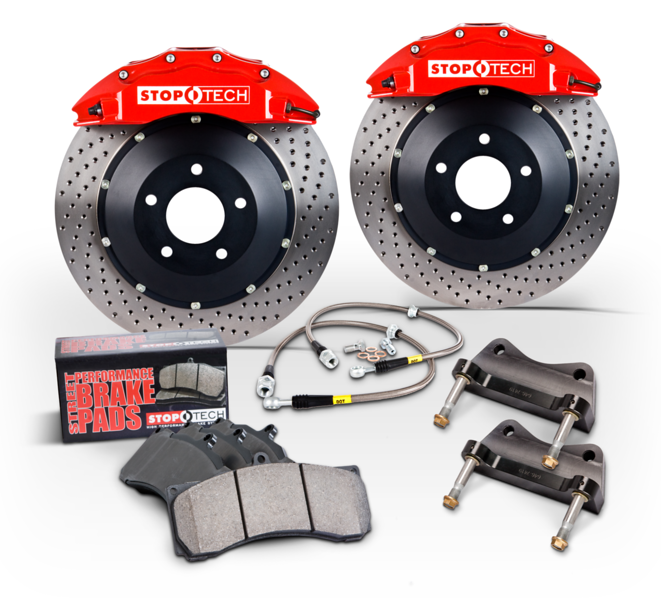 StopTech Big Brake Kits (BBKs) include stiffer calipers, larger rotors, higher friction pads, stainless steel lines and application-specific mounting brackets and hardware. Like all StopTech High Performance BBKs, they offer significantly improved braking performance, feel and modulation over stock systems and are available in a variety of caliper color/rotor finish options. The FRONT StopTech Big Brake Kits for these Nissan and Infiniti models include a pair of drilled or slotted StopTech 2-piece AeroRotors® and four- or six-piston StopTech ST calipers, as well as mounting brackets, stainless steel lines and StopTech Sport brake pads. 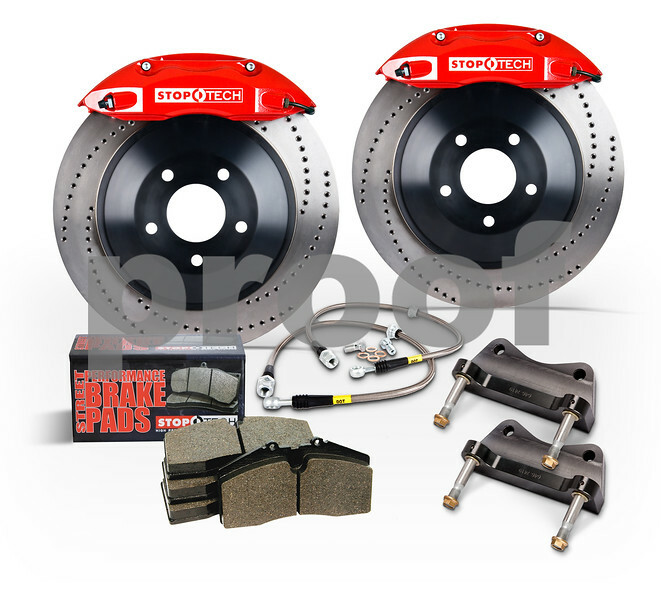 The REAR StopTech Big Brake Kits for these Nissan and Infiniti models include a pair of drilled or slotted StopTech 2-piece AeroRotors® and two- or four-piston StopTech ST calipers, as well as mounting brackets, stainless steel lines and StopTech Sport brake pads. All kits, as well as the complete line of StopTech braking systems and components are available through authorized motorsports distributors and performance automotive aftermarket retailers today. For more information, visit CentricParts.com and StopTech.com, and be sure to follow StopTech and Centric on Facebook, Twitter, Pinterest, Instagram and YouTube for all the latest StopTech and Centric Parts news. Centric Parts is North America’s leading manufacturer and supplier of aftermarket brake and chassis components for passenger vehicles, light and medium duty trucks, fleet vehicles, high performance vehicles and race cars under the Centric®, C-Tek®, Posi Quiet®, Fleet Performance and StopTech® labels. Through its StopTech and Qualis Automotive divisions, Centric also supplies components and systems to dozens of OEM and private label customers. With an unparalleled level of research and development in North America, Centric leads the industry in brake and chassis technology innovation, having earned several patents and dozens of industry accolades along the way. The company has enjoyed solid annual growth since being founded in 2000, and now operates multiple nationwide facilities encompassing over one million square feet of office, warehouse and manufacturing space.